How do you recap seven of TV's craziest seasons at all, let alone in under a minute? That seems impossible, and yet somehow Ian Harding has done it. We got the Pretty Little Liars star to sum up the Freeform mystery series in just 60 seconds, and it really makes you think about how far we've come since we thought Alison was dead but also sending text messages from beyond the grave. And remember when Mona was dead, but then she wasn't? Good times! 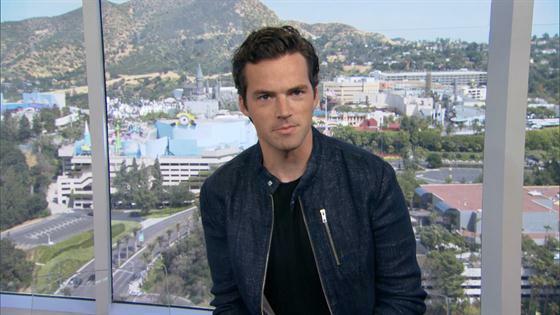 Pretty Little Liars wraps up its seven season run in just eight more episodes, and we've been promised enough things to take up a whole other minute of Ian Harding's time: secrets revealed, a musical number, another time jump, a wedding, a baby, and the biggest body count of any season ever. We've also been promised a completely satisfying ending to the series. "I'm completely satisfied," Shay Mitchell told E! News of at Freeform's Upfront event. "This last ten episodes was written as a love letter to the fans, so I am very certain that they will love it as much as we do." Pretty Little Liars airs Tuesdays at 8 p.m. on Freeform.